DETROIT June 13, 2018; General Motors Co. today announced Chuck Stevens, GM executive vice president and Chief Financial Officer, has indicated his plans to retire after more than 40 years with the company, effective March 1, 2019. GM also announced today the appointment of Dhivya Suryadevara as Chief Financial Officer, effective Sept. 1, 2018. Suryadevara, will report to Mary Barra, GM chairman and CEO. Stevens will remain with the company as an advisor until his retirement. 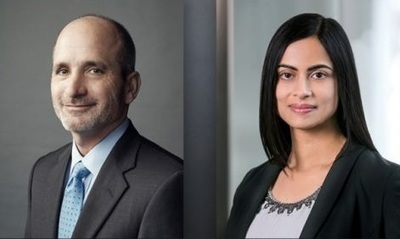 “Dhivya’s experience and leadership in several key roles throughout our financial operations positions her well to build on the strong business results we’ve delivered over the last several years,” said Barra. Suryadevara, 39, has been vice president, Corporate Finance since July 2017. In this role, she has been responsible for corporate financial planning, investor relations and special projects. Suryadevara played an integral role in the Opel divestiture, Cruise acquisition, Lyft investment and more recently, SoftBank’s investment in GM Cruise. From 2015 to 2017, Suryadevara served as vice president, Finance and Treasurer. She helped achieve ratings upgrades from all three credit ratings agencies, completed $2B notes issuance to fund discretionary pension contributions and upsized and renewed GM’s $14.5B revolver. Suryadevara also served as CEO and Chief Investment Officer for GM Asset Management from 2013 to 2017. In this capacity, she was responsible for the management of business and investment activities of GM’s $85B pension operations. Suryadevara joined GM in 2005. She received a bachelor’s and master’s degree in commerce from the University of Madras in Chennai, India and an MBA from Harvard Business School. She is a Chartered Financial Analyst and a Chartered Accountant. Stevens, 58, became GM CFO in January 2014. In this position, he led the company’s financial and accounting operations on a global basis. Stevens also led a cultural shift within the GM finance team, driving for stronger business partnerships and accountability for results. Prior to becoming GM’s CFO, Stevens was GM’s CFO for North America from 2010 to 2014. He also served as interim CFO for GM South America from December 2011 to January 2013. Stevens previously held leadership positions in China, Singapore, Indonesia and Thailand. He began his GM career at Buick Motor Division in 1978.